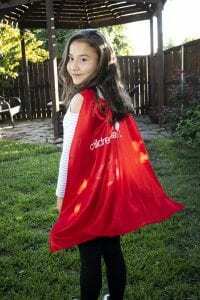 Meet Kristin, Our Children’s Health Champion! February 26, 2019 | By Fatima V.
Kristin was diagnosed with Biliary atresia when she was just 3 months. Biliary atresia in short is when there is an absence or closure of the major bile ducts that drain bile from the liver. This can cause severe damage to the liver, and if not caught in time, could lead to death. Three months might sound to you like it was caught in time, when in fact, it was detected on the verge of being too late. At the age of two, Kristin was fortunate enough to finally receive a healthy liver and even then, doctors gave her a 30% chance survival rate on the table. Her journey from being diagnosed to finally receiving the liver transplant was an extremely tough one. To begin, Kristin basically lived in the hospital where she constantly had to have supervision due to always becoming sick with blood infections, viruses and fevers, to incidents where she almost lost her life more than once. She wasn’t able to be free and play with other kids due to her infections and being confined to a hospital room was no way to live for a toddler. The days the doctors thought she was well enough to go home did not last. As time passed by, her stays at the hospital grew longer each time and with each time that she was admitted her health worsened. Kristin started out with a NG Tube to help her get enough nutrition because her health was failing at a rapid rate, but a time came where that no longer was sufficient that she had to have a permanent PICC Line going straight into her chest to keep her alive. With that PICC line being in place, her father and I had to follow her everywhere she would go with her bag full of her nutrients. When the bittersweet day came, and we got “the call” they were ecstatic and frightened all at the same time. We put our complete trust and faith in Children’s Health and after hours and hours in surgery the transplant was finally complete. Kristin now lives a healthy life, plays soccer and is part of a leadership team in her school. There are no words to describe how grateful they are towards Children’s Health and how giving Children’s Health has been to our family.